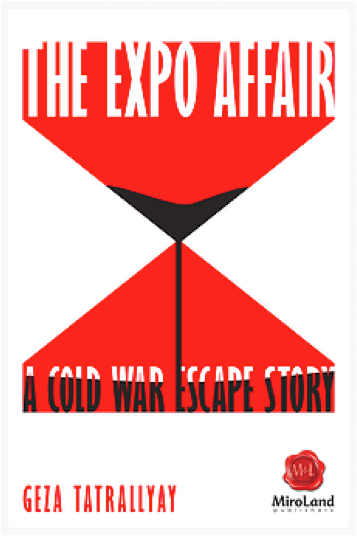 Timothy Niedermann states in his review of The Expo Affair that Geza Tatrallyay’s book is “a very personal and affecting window on the confusion and desperation of the Cold War era”. Niedermann begins his review by giving the background of Tatrallyay’s memoir, stating “the Berlin Wall fell over 25 years ago and since then, the Cold War has sunk into memory, the anxieties of those times being gradually supplanted by new fears – 9/11, Islamic terrorism, climate change”. Niedermann explains that Tatrallyay’s book is “a memoir of his involvement in a very minor, yet affecting event during this time: the attempted defection of two Czech women during the Expo ’70 world’s fair in Osaka, Japan”. While at the Ontario Pavilion at the Expo, Tatrallyay became involved “with a Czech girl, Sasha. It was clear that the KGB was watching, but who cared? That is, until Sasha’s friends and Zozana and Helena approached him, seeking asylum in Canada”. The Expo Affair describes the involvement of Canadian diplomats and other compatriots at the Ontario pavilion who tried to arrange safe passage for the girls to Canada. Regarding whether or not Sasha was a spy, Niedermann states, “instead of reaching clarity, everything became more and more murky”. Niedermann concludes his review by stating, “the descriptions and dialogue [Tatrallyay] has set down create a convincing atmosphere. He does not embellish with extraneous history or analysis, but lets the story unfold naturally”. Geza Tatrallyay was born in Budapest and escaped with his family in 1956. After graduating with his BA from Harvard University, Geza was selected as a Rhodes Scholar and graduated with his BA/MA from Oxford University. Geza has written several thrillers, memoirs, and a collection of poetry. Tagged with Geza Tatrallyay, Ottawa Review of Books, The Expo Affair, Timothy Niedermann.